Community Radio is born from the idea that people in our changing times are seeking a source of information that is convenient, relevant to them and their loved ones, entertaining, inclusive, and reliable. It is a space set aside in our day where we can be challenged to open our perspectives, to think different, and grow from one another. Community Radio is a place where one’s neighbors can speak to issues important to their neighborhood, redefining what’s important as ideas and issues that affect us – where we live, work, and play. Important because the information is put forth with solutions and in a timeline where we have opportunity to respond, not presented as something we must accept. A place where we can listen to music that reflects one’s own life experiences while sharing experiences of people from around the world. Imagine a radio station where everyday is Earth day. Where programs are hosted by folks from local community organizations speaking to local issues. Housing and water forums could be broadcast, issues such as uranium mining, oil spills in the San Juan River, strip mining, zoning and green spaces, living wages, student housing, water quality, respect for human rights…everyday. A radio station to listen to bluegrass from Appalachian & Ozark mountain communities, jazz from New Orleans and Kansas City, blues from Memphis and Chicago, wooden music from the high plains and plateaus of Arizona, New Mexico, and Texas, or cowboy poetry from the canyons and campfires of the intermountain west. Listen and enjoy Souka from Africa, or reggae from the Caribbean, poetry and prose written and read by local authors, or original radio drama created and performed by local theatre troupes. Music from both sides of the border, conjunto, corridos, cumbia, bossa nova, salsa. Local singer/songwriters and bands performing original material. We will be broadcasting programming in Diné, English, Español, and Hopi, and probably in numerous variations and combinations of these languages — tetra-lingual if you will. Radio Sunnyside is this. 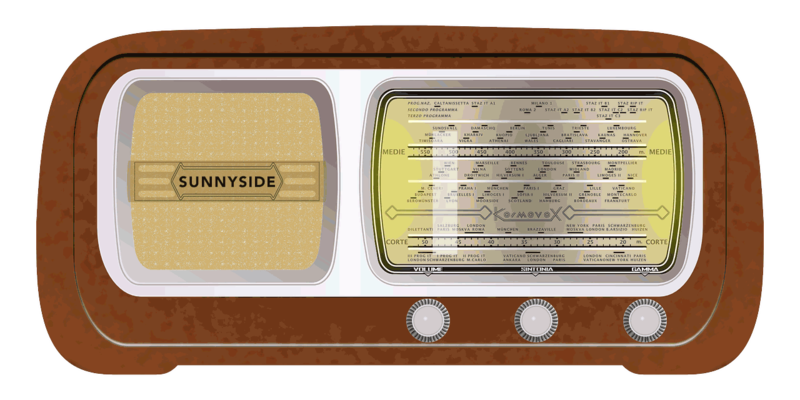 Radio Sunnyside is a platform for the people of Sunnyside to become the media.